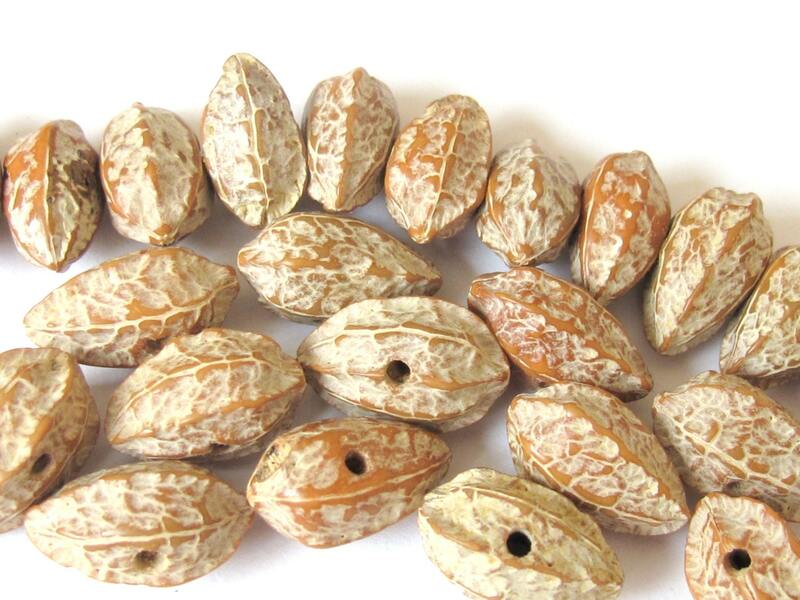 This listing is for 10 nature nut seed beads from Pagsahingin tree . 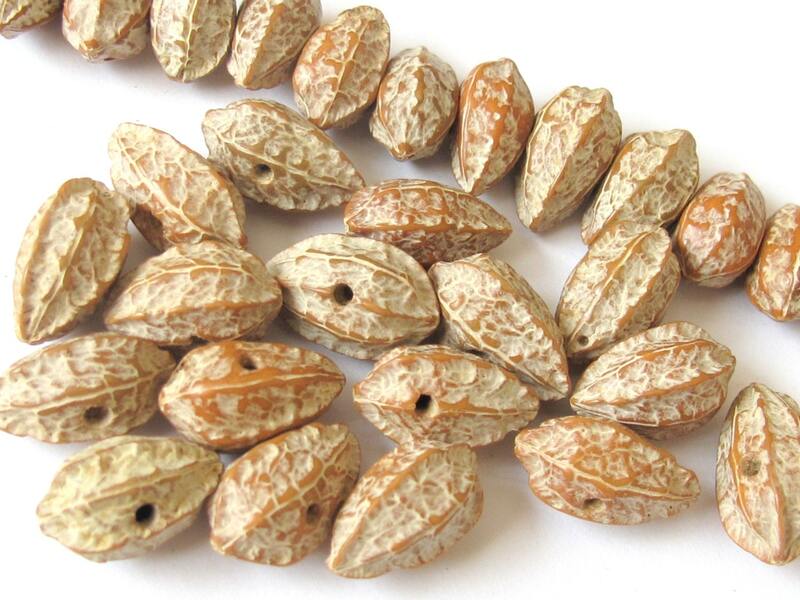 Also called as rocky nut seed beads. This tree is native to Asia mainly Phillipines , Indonesia , Malaysia . 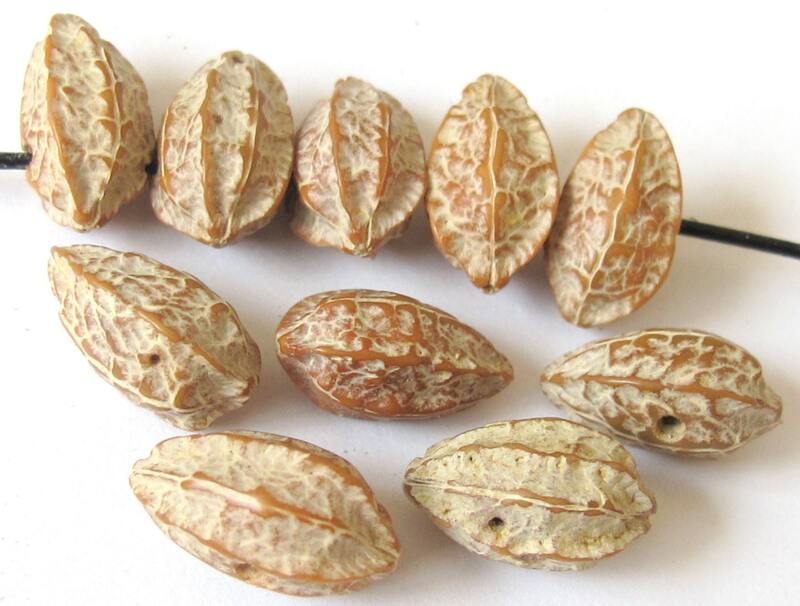 Please note that the our images are enlarged to provide clear details .Since these are natural seed beads shape/size of beads may slightly vary from each other. 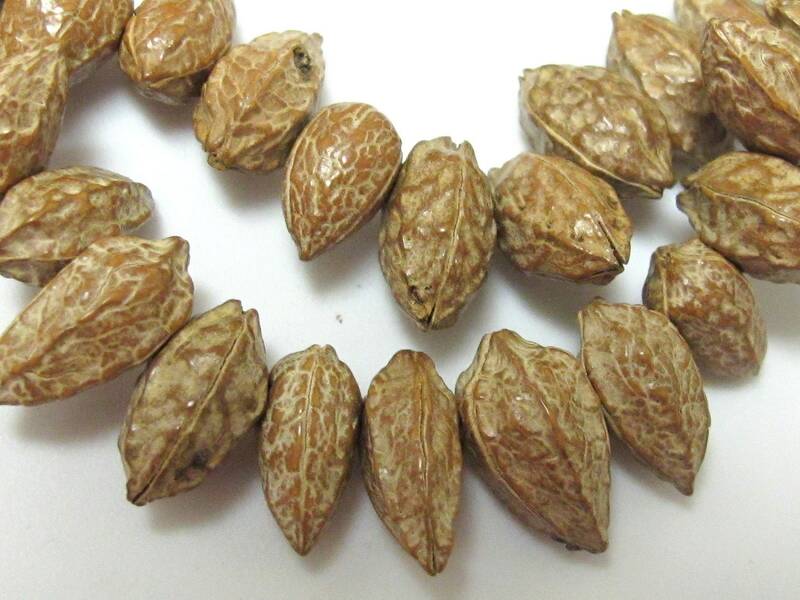 SIZE - Approx 13 mm to 15 mm long x approx 6-8 mm wide. Side hole drilled. Brownish in color with a natural grainy texture.